The vineyards of Pernand-Vergelesses are the only ones to offer the full range of crus, as much in white as in red wines… Discover the diversity of our selection. The years follow one another but do not look the same! Nature is our guiding light; this is what makes our work so rich. A dry spring and rather clement weather allowed good crop potential to be envisaged. However, some very hot days in early June disturbed vine-flowering in certain parcels of Chardonnay, provoking the phenomenon of flower-shatter (the non-transformation of flowers into fruit). Then hail turned up again in the region on 28th June, damaging hoped-for quantities in some places. Thereafter, summer was quite ‘autumnal’, cool and damp. 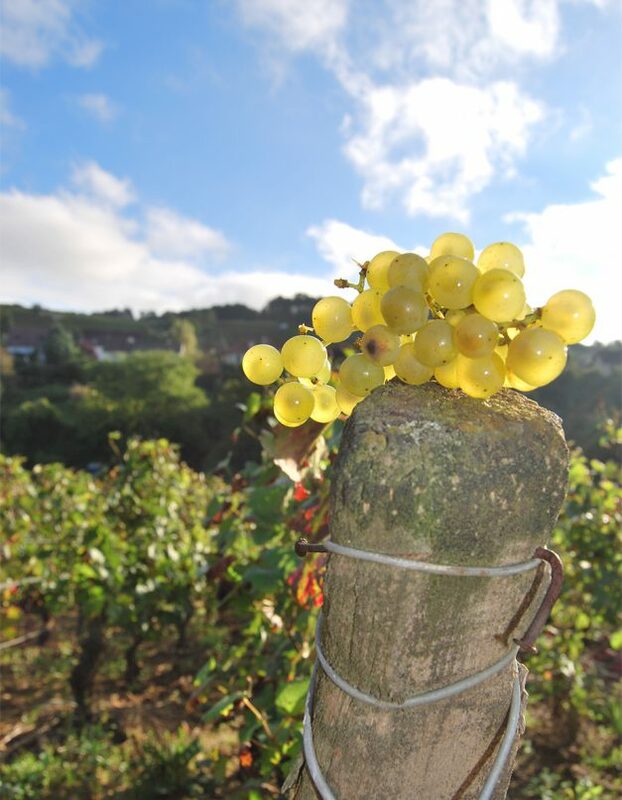 Good anticyclonic conditions, with sunshine and a northerly breeze, finally established themselves at end of August, early September, allowing grapes to achieve good levels of ripeness. We began the harvest in good weather on 11th September. 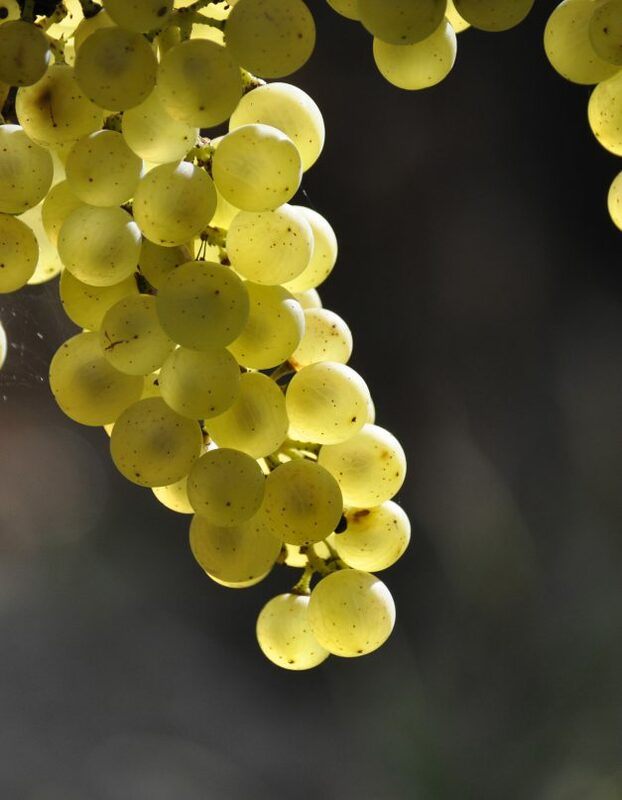 For the white wines, the limited yields allowed impressive concentrations to be achieved. They are highly aromatic, floral, lemony. On the palate, they express great ripeness balanced by pleasant and refreshing minerality. The red wines exhibit rather deep colour. Aromas are particularly intense and of great finesse. On the palate, elegant and silky tannins are there to underpin the fleshiness. These are ‘easy’, gourmand and early-drinkable wines, but they will nevertheless live through the coming years with much elegance. Perfect! Irreproachably healthy grapes and optimal ripeness, now there’s a vintage all winemakers could easily get used to… A mild spring allowed vine-flowering to start off at the beginning of June in healthy conditions. The rhythm was maintained thereafter, with vines stimulated by a hot summer, but without excessive conditions. We started harvesting on 3rd September, still in summery conditions. The white wines are already very expressive. They offer very pure aromas of ripe white fruits. On the palate, the ripeness is expressed through richness and density, the whole supported by surprising freshness. This harmony should satisfy those in most hurry, but all will be further improved through time. Hard going! Following a mild winter, the vines awoke with difficulty in a damp, cool springtime. 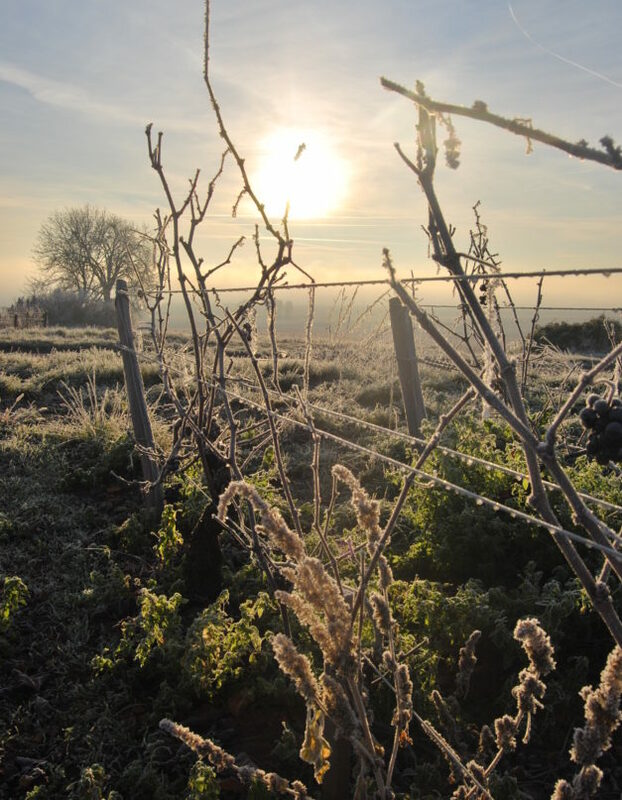 And then in the night of 26th to 27th April, when all seemed finally under way, a cold snap of exceptional amplitude struck our vineyards, freezing all in its path. 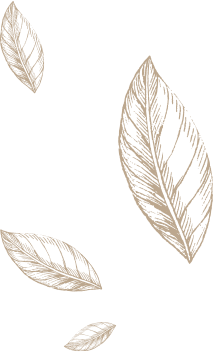 Over more than two-thirds of our vineyards, the vines were to spend several weeks restarting their growing cycle and produced little or nothing in terms of fruit at the end of a most chaotic growing season. Fortunately, good quality was in evidence when we began harvesting on 23rd September. The whites are frank, rich and show good substance. 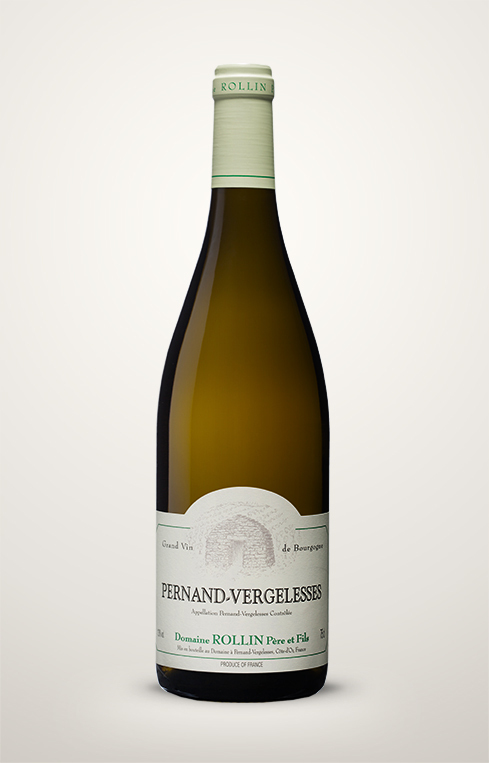 Aromas of white flowers and peach accompany well-defined minerality. Quickly pleasant due to their freshness and energy, they will improve over a few years in cellar.